All of our staff at Paradise Pets will strive to make your pet feel at home. When you leave your pet with us, whether it is for daycare, grooming or boarding, they will receive the care and attention they deserve, no matter the age, size or disposition. All of our employees have taken and completed a course by the American Red Cross in pet first – aid and C.P.R. (General Manager) He has been with us since 2005. He is a certified pet care technician and has training with the American Red Cross in pet first aid and C.P.R. He has many responsibilities including front desk checking in clients and helping out wherever it’s needed. He enjoys living on his farm with his wife Jessica, his daughter Aubrey, and son Jay. (Receptionist) has been with us since September 2004. She grew up in Princeton, IL. She attended Heartland Community College where she received an Associates degree in Early Childhood Education. Tash is one of the full time receptionists. 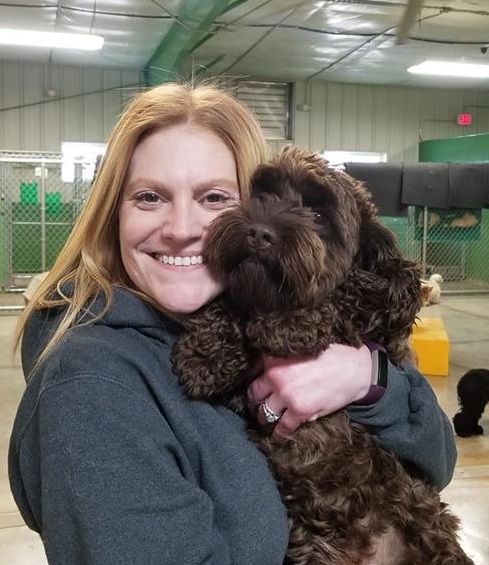 She and her husband Joey live in Lexington with their son Ky and their five dogs: Chance, Tank, and Queen (rescued Pit Bulls), Honey (rescued Lab Mix), and Lovie (Shih Tzu Mix). (Receptionist) has been with us since June of 2015. He works up front scheduling appointments, updating the social media pages and website. Joe also redesigned the current Paradise Pet website. Prior to coming up front, Joe worked in the back caring for the dogs. Joe graduated form Tri-valley in the spring of 2017. Joe is going to school to become a nurse. He lives in Downs with his family, dogs and cats, Lilly & Gretchen (dachshunds), Sophie, Lucy & Penny (German shepherds) and his cats Sox, Stash, Asia, and October. (Receptionist) started with us in August of 2009. He is responsible for supervising the dogs, cleaning, checking in clients and helping out with any other tasks each day. He has a yellow lab Luke Skywalker, a pit/sharpei mix Luna, and a black lab named Buddy. He coaches JFL football in his spare time for his son Hunter and enjoys spending time with his daughter Macy. (Receptionist) works up front. She has been with us since June of 2018. Maggie went to Central Catholic high school and is currently studying environmental and forensic Science. She lives with her 10 fish and lizard, Reginald. In her free time Maggie loves to walk in the park, look at fish and reptiles at pet stores, listen to music as well as hangout with her roommates. (Bather) has been with us since September of 2017. He works in the bathing room bathing dogs. Jesse graduated form Full Sail University whit a degree in computer animation. In his free time he enjoys watching movies and spending time with his fiancée. Jesse also lives with his dog Ash (Lab/Pit). (Kennel Tech) works in the back caring for dogs. She has been with us since May of 2017. Angle went to school at New Iberia (Louisiana) for Digital media. She lives with her dog Mojo (Rat terrier) and in her free time she likes to watch movies, cook and photography. 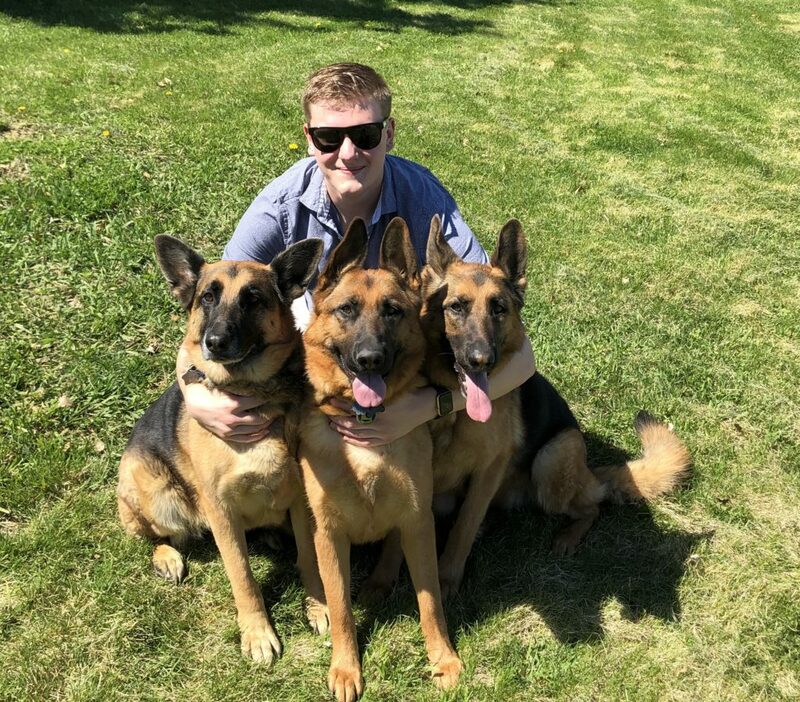 (Kennel Tech) works in the back caring for dogs. She has been with us since April of 2017. Carlyn recently graduated for Normal Community and is going to become a Vet Tech. She lives with her shih -tzu, Libby. In her free time she enjoys hanging out with friends, going on adventures, taking care of her friends dogs and going fishing with her brother, Cale.